Cal Performances hosts NPRs From the Top with Host Christopher ORiley for a live recording of the popular radio show in Zellerbach Hall. Broadcast on more than 200 stations nationwide to an audience of nearly half a million listeners, From the Top shares the stories and performances of pre-college classical musicians through a live-recorded concert presented in communities across the country. 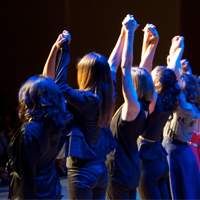 Local talent for the performance is being recruited in the Bay Area beginning this fall.